i was eating faces off of people before it was cool. 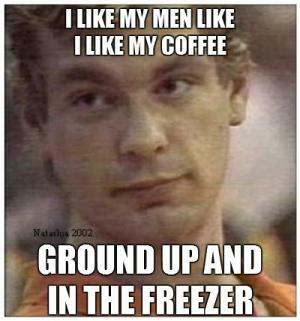 doesn't that make jeffrey dahmer only human? Shh...it's ok. Here come lay down. 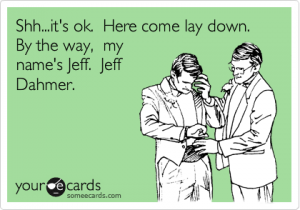 By the way, my name's Jeff. 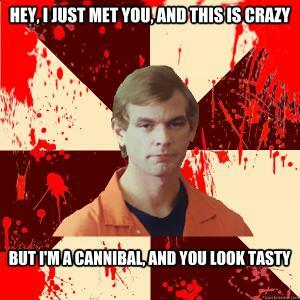 Jeff Dahmer. 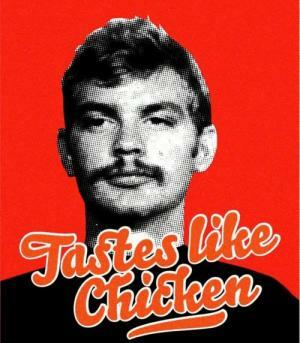 That Jeffrey Dahmer would try to lure it back to his apartment before eating it! is more human than the rest of us?